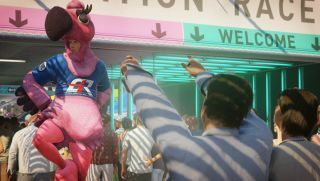 Hitman 2, Frog Detective and GOTY nominations discussed. Join the PC Gamer team for a nice time discussing a) a frog who is not the world’s best detective, b) a Hitman rivalry that may be getting out of hand, and c) a selection of our picks for the greatest PC games of the period commonly referred to as twenty eighteen. Discussed: Frog Detective, Yoku’s Island Express, Hitman 2, The PC Gamer Game of the Year (Nominations). Listen to Episode 69: Environmental Storytelling here. You can also subscribe on iTunes or keep up with new releases using our RSS feed. The PC Gamer UK Podcast is a weekly podcast about PC gaming. Thoughts? Feedback? Requests? Tweet us @PCGamerPod, or email letters@pcgamer.com. This week’s music is from Yakuza 0.